When I’m writing a story, sometimes I get stuck. I’ll forget where my characters are in relation to each other. I’ll forget the exact sequence of events. I’ll forget where the characters are standing. I’ll forget how many people are even in a room. When I have these lapses, I’m almost cheerful because that’s when I can legitimately play with some toys I (said I) bought for the grandkids — Playmobil playsets. The two men on the (invisible) motorcycle are about to throw a Molotov cocktail at the car. My heroine, the woman on the balcony, will roust a colleague and they’ll be finding fire extinguishers to put out the fire before the car can go up in flames. 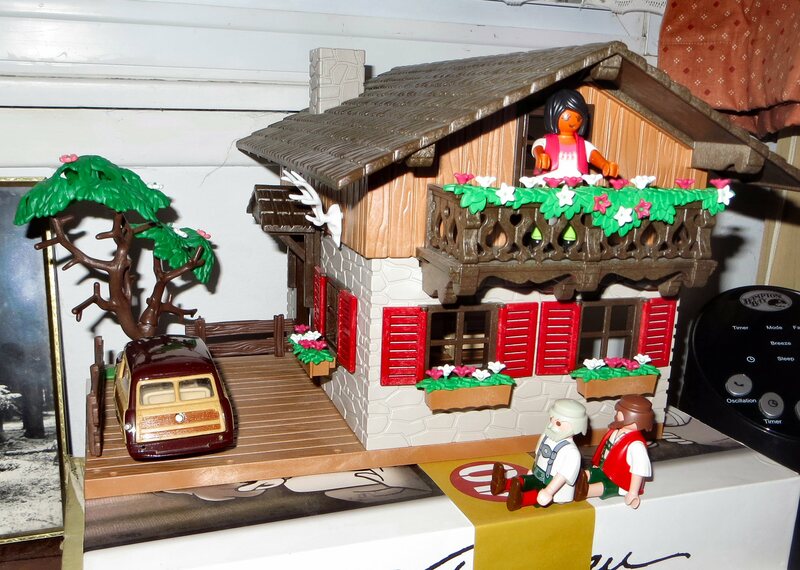 I first found Playmobil toys in 1976 after we moved to Germany for the second time. My husband and I gave our son two sets of them for Christmas. In the years since then, the company has expanded their range of playsets so that people like me can now use them in ways the designers probably didn’t imagine. At the moment, I have a motorcycle policeman on order. In future, my characters won’t be riding invisible motorcycles. I’m happy to say that when my little characters aren’t busy getting up to no good in my imaginary worlds, they’re happily inhabiting the more innocent stories of little children. That would be great fun! I might try it.